Prof. Rob McWilliams Ph.D., M.Mus., B.Mus.Ed. Prof. Rob McWilliams was born and raised in Melbourne, Australia. He holds a Ph. D. in Music/Music Education (conducting focus) from the University of Minnesota, a Master's degree in Instrumental Conducting from Florida State University, and a Bachelor's degree in Music Education from the University of Melbourne. Dr. McWilliams was a United States resident from 1991 to 2014 and served as Professor of Music and Director of Bands and Instrumental Music Education at the University of Wisconsin Oshkosh from 1996 where he also served as Head of Music from 2011 to 2014. 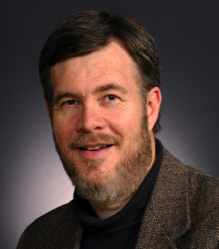 Dr. McWilliams has conducted and presented at major music conferences in Japan, Hong Kong, the United Kingdom, Singapore, Europe, China, all states of Australia, and has been published in the Journal of Band Research, Teaching Music Through Performance, and is a composer/arranger with Alfred's Music. In early 2015 he relocated to Brisbane, Australia where he is currently working for Yamaha Music Australia as their Education Outreach Clinician, as well as teaching sessionally at the Jazz Music Institute and freelancing as a musician, educator, conductor, composer/arranger, and adjudicator. Dr. McWilliams is available to deliver Professional Development on all topics related to ensemble direction in band, orchestra, and jazz (conducting, rehearsing, repertoire, recruiting, advocacy, improvisation pedagogy, etc.). He is also available for ensemble workshops, help with program setup and development, appearances as guest soloist, etc. 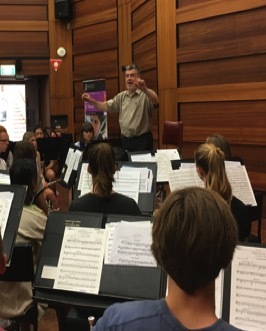 In his current role as Yamaha Music Australia's Education Outreach Clinician, with the mission of improving the quality and participation in instrumental music across Australia & New Zealand, these services may be available to you at little or no cost. Click Yamaha Music Australia's Education Outreach for more information or go to the Contact page to make enquiries!